After setting up the eclipse we need to open the eclipse. Upon launching the eclipse window we find some of the visible screens. If you see carefully at the title bar of the eclipse window , you will find the name of the eclipse perspective. 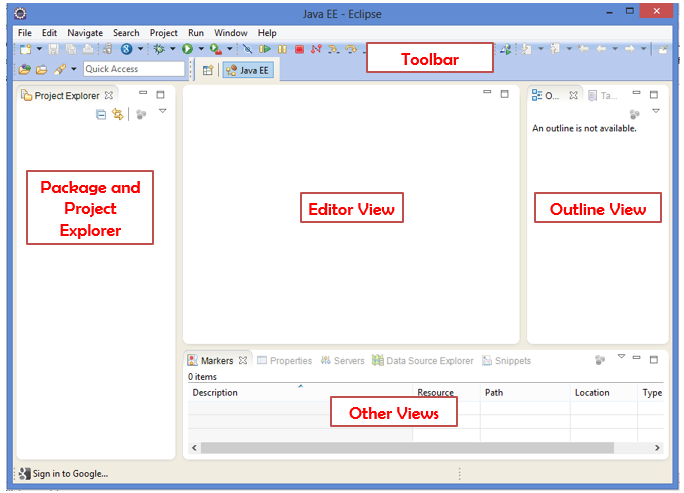 Initial collection and arrangement of the eclipse windows and views is called as Eclipse perspective. Though we can have multiple prospectives but at a time only one perspective can be visible. 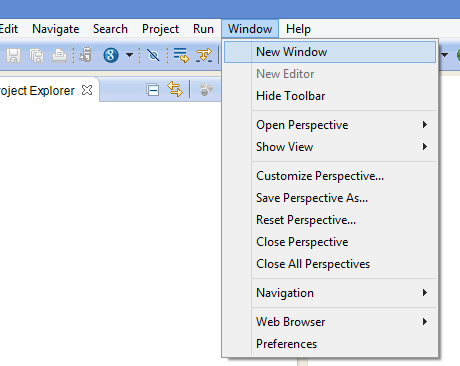 We can open the new eclipse window using Window -> New Window option.